The sample page from your Gold Medal exhibit (Venice 2011) shows great astrophilatelic depth. Congratulations on fine material amplified by exceptional knowledge. Can you put the entire exhibit on the web? My American friends are hungry for more. As David said, above, I’d like to see the entire exhibit. We still have a major problem in the US with no qualified judges for Astrophilately and, as a result, fewer and fewer exhibitors. I did succeed in getting F.I.P. 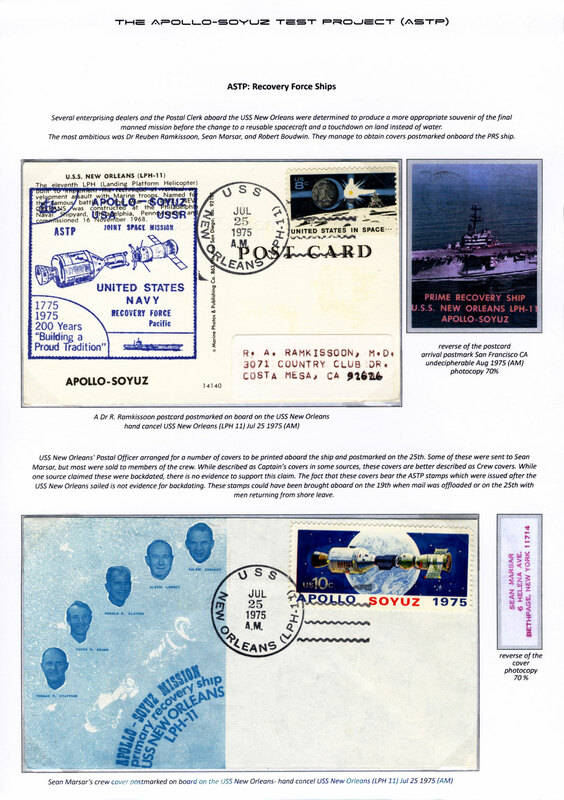 to change the requirement that covers have to be cancelled “from the nearest” post office to “A nearby” post office as a result of pointing out that Apollo 11 and 13 flown-to-the-moon covers were not cancelled that way; that Gemini KSC Officials were not valid since those launches, all of the early Saturn 1 and 1B launches and Apollo 7 were launched from Cape Canaveral, plus other examples. But our judges at NAPEX did not read the CD Version of my new, “U.S. Space Cover Collecting Handbook”, which I sent to them at no charge. They faulted a great X-plane flown cover exhibit for not “showing more than one flown US Space Shuttle cover. (There was only one). They faulted another collector’s exhibit for not showing “a 1957 Atlas missile launch cover” in an exhibit on von Braun’s rockets. (There were 3 Atlas launches in 1957 and no covers have been reported from any of them!). We have a major problem here and would really appreciate seeing what exhibits outside of the US are doing. You are just the best! Come back to Turin to visit yr friends and get some more awards!!!! În mod categoric, AURUL MARE este galaxia în care îşi are locul. Felicitări! Thanks for sending the full exhibit. Congratulations on your award. Alec, a good start and wish you many succes.